I am somewhat suspicious of young adult novels. How interesting could they really be to a well-read adult? Mostly my answer is very. Do not underestimate a book based on the number of pages or the ease of reading. There are some great young adult fiction such as The Giver, Maze Runner, Eragon, and, now, The Sorcery Code. 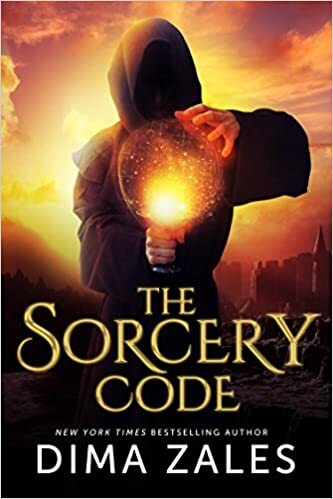 The Sorcery Code is an unique story about a sorcerer who creates a being that is supposed to help the human race. What he creates is more than he ever imagined possible. In addition to the fear that this creature will ruin the way of life, there is a fear that it will destroy all life. The characters and plot points are developed within the book, but I am really looking forward to the rest of the series to see how they are further developed. I like characters that are grey - by which I mean they are neither good nor bad. Maybe we disagree with their methods, but see where they are coming from, or vice versa. I love having my initial impression of a character challenged, and this book does a good job of that in such a short span of time. I would recommend this book to anyone who likes fantasy, but does not want to keep track of family trees and complex maps to understand it. Don't be fooled by the ease of reading - this book is much more than a book written for youngsters! I have received this book free for the purpose of reviewing it, but all opinions are very much my own. It is extremely hard to do shopping at the dad day since individuals turn out to be so befuddled abd essay-company provides well task. The craftsmanship that you express in this article is extremely one of a kind and this article is absolutely great. You share a smart thought in this article.